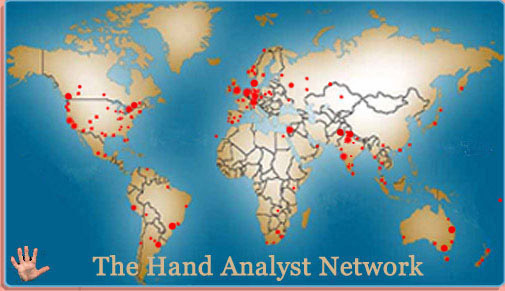 1) The map of 'Registrated Hand Reading Experts' highly correlates with the 'Map of World Freedom'. 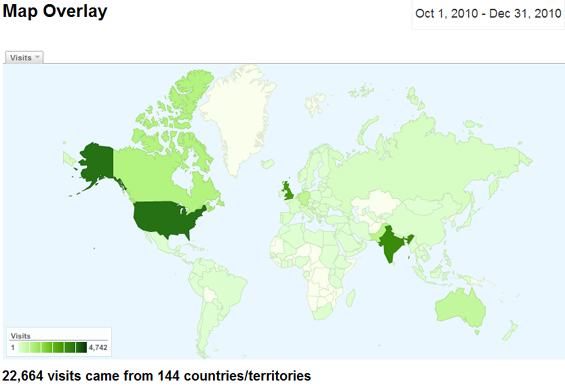 2) The 'Map of Modern Hand Reading Forum Visitors' correlates with the 'Map of World Internet Activity' - NOTICE: The relatively dominant position of India in the Forum's map reflects the popularity of 'palmistry' in India. 3) While a large percentage of the world population is living in East Asia, Middle East & Africa - there are only a few countries (in respective: Japan, Israel & South Africa) in those regions where modern hand reading appears to develop parellel with expression of freedom. 4) Regarding the 'partly free' countries (= the YELLOW countries in the 'Map of World Freedom'), only Pakistan manifests as a significant player in the field of modern hand reading. thank you Martjin, so interesting information. I wonder sometimes, when I read your researches, what in your hand and/or in your astrological map, gives you this so alive curiosity and interest for research, for putting things together, for making correlations between them and/or comparing them. And you find all the time new things to bring to our attention (referring to this site and to your site too). I had this question on my mind from the very first time I saw your site, few years ago. At you service... always very nice to hear your thoughts in the discussions at this forum! !